Sri Lanka captain Dinesh Chandimal has been banned for one Test for ball-tampering against West Indies. The 28-year-old seemed to apply saliva containing the residue of something he had in his mouth to the ball during the second Test in St Lucia. Chandimal, who pleaded not guilty, has been banned by the International Cricket Council for the final Test in Bridgetown, which starts on Saturday. Match referee Javagal Srinath said Chandimal’s defence was “unconvincing”. He added: “After reviewing the footage of the incident, it is clear that Dinesh applied an artificial substance to the ball. Umpires Aleem Dar and Ian Gould raised concerns about the condition of the ball on the second day of the second Test in St Lucia. 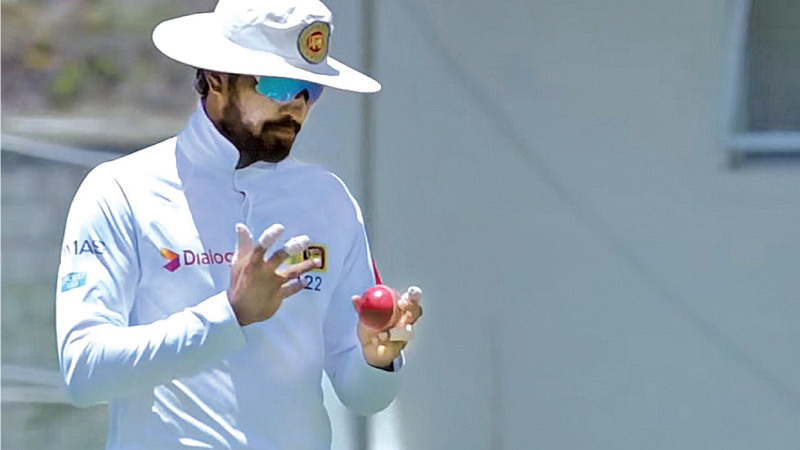 Sri Lanka players took to the field two hours late on the third day in protest, following lengthy discussions between Srinath and Sri Lanka’s coaching staff. Chandimal was also given two suspension points and fined 100% of his match fee. Chandimal, coach Chandika Hathurusingha and manager Asanka Gurusinha were also charged with “conduct that is contrary to the spirit of the game”. West Indies lead 1-0 in the three-Test series following the draw in St Lucia. South Africa captain Faf du Plessis was fined 100% of his match fee for licking his finger and shining the ball while eating a sweet in a Test against Australia in 2016. In March, Australia captain Steve Smith and vice-captain David Warner were banned for a year and Cameron Bancroft nine months for their part in a ball-tampering scandal in South Africa.